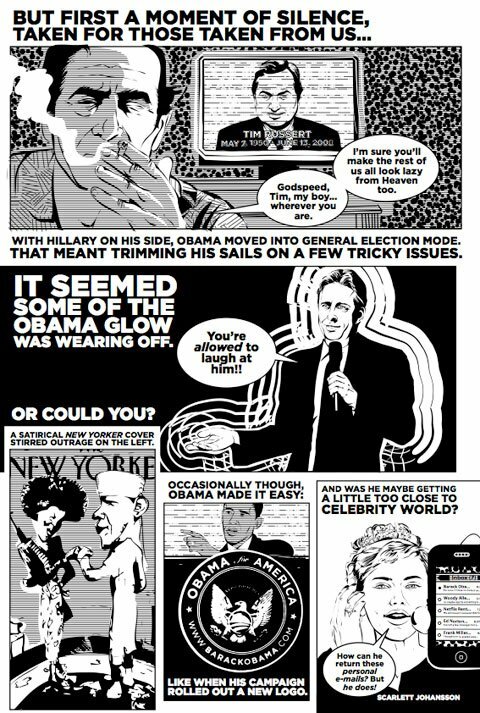 Beyond the pandering focus groups, the billion-dollar fund-raising machinery, and the relentless myopia of the 24-hour news cycle, it was clear that something deep in the American psyche was stirring as the rumblings of the 2008 election first began. 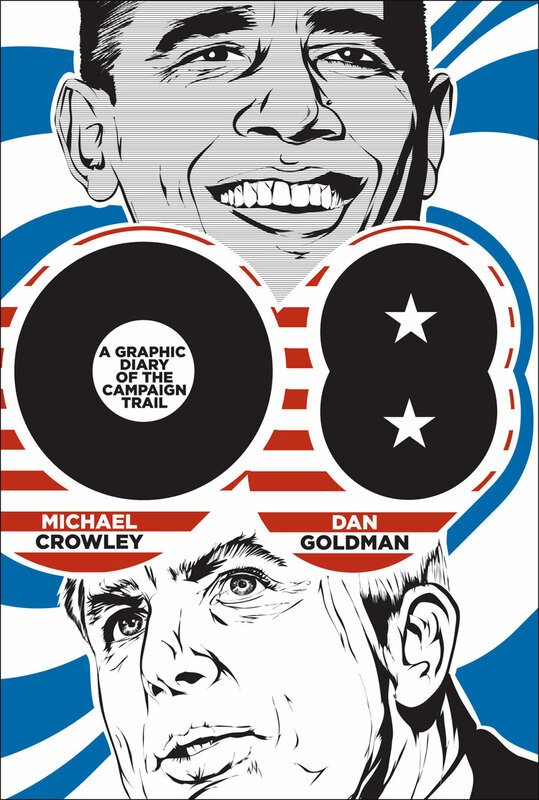 08’ follows the epic 2008 presidential campaign and its dramatic cast of characters: the inevitable former first lady with a terrible plan to win, the freshman African-American Senator who skyrockets onto the national stage, and a former POW’s hangdog campaign that overcomes both a Mormon Governor and a thrice-married (occasionally cross-dressing) Mayor. 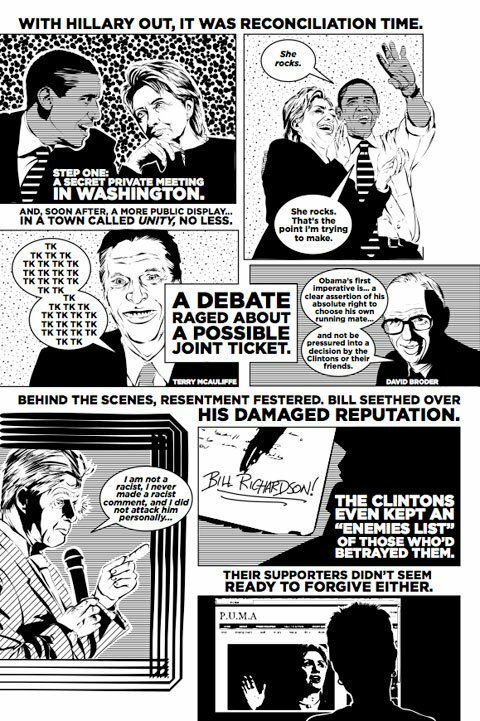 Taking its cur from campaign classics like Fear and Loathing on the Campaign Trail ’72 and The Making of the President Series, 08 brings politico journalism into the graphic novel form. Reflect on all the single-issue candidates, the pundits, the meltdowns, the awkward missteps, and the ruthless maneuvers of the scorched-earth campaign trail as they knit themselves into a political tale of the present-day battle for the future of America.